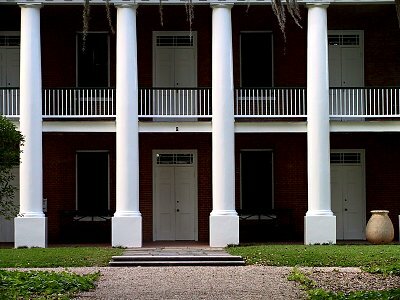 This entire block is taken up by Shadows-on-the-Teche, the National Trust property whose historic significance is at least partly defined by the heroic (and successful) efforts of its last private owner, the painter Weeks Hall, to get it into safe hands for posterity. 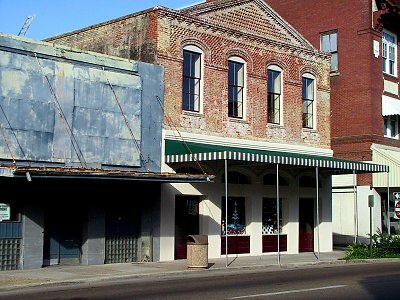 A pair of old buildings nicely reused, one as a law office and one as a jeweler's store. 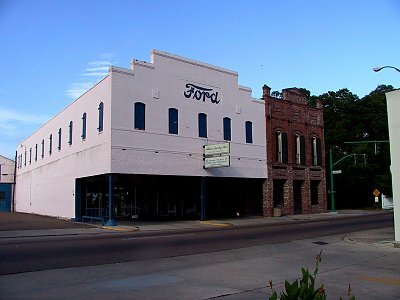 The latter's historic role as an auto dealership is preserved in the exterior treatment (detail below). 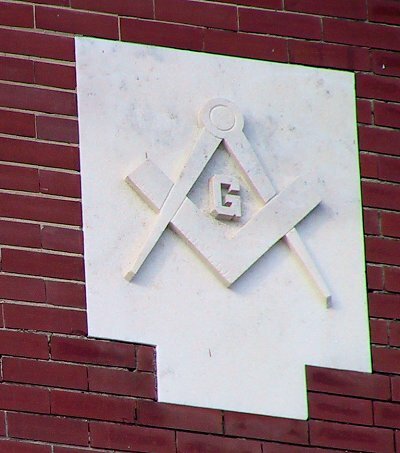 Detail of Ford logo on renovated building. 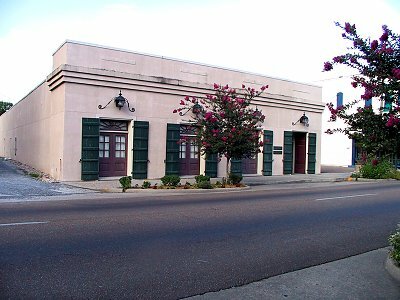 Masonic Temple, with retail space at street level. 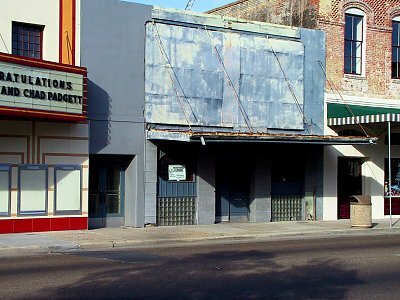 This renovation project is current, and the new use has not been finally determined. 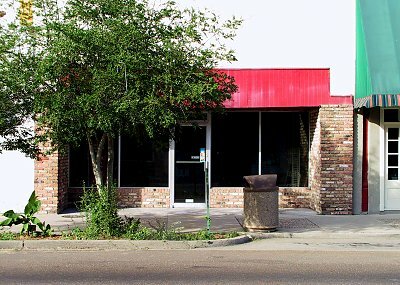 For many decades, a hangout called the Sports Center, famous for its chili, and the place in town where you could reliably put down bets or play dominos. 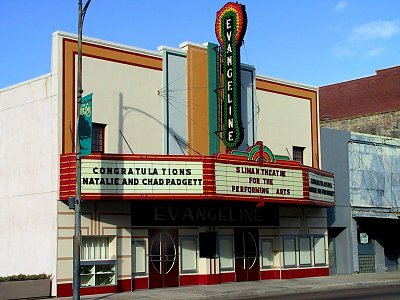 The old Evangeline Theater, given to the city and lovingly restored and named Sliman Performing Arts Center after the property's donor. 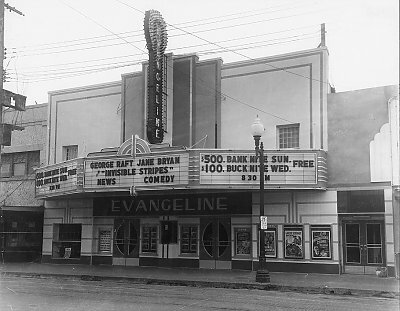 Historic photo: The Evangeline Theater in its days as a cinema house. 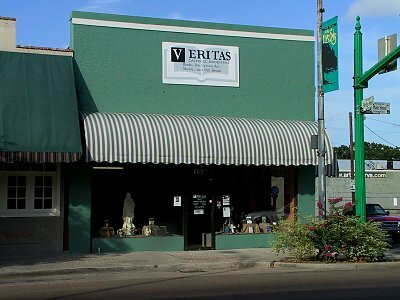 The home of many different businesses in my lifetime; currently, a Catholic book store. 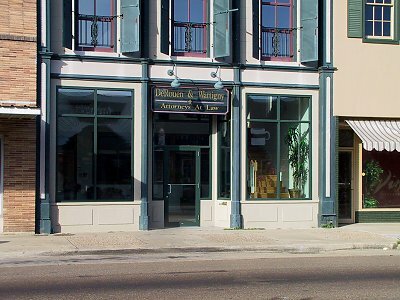 Was a pharmacy for many years, under the proprietorship of George Ackal (see below). 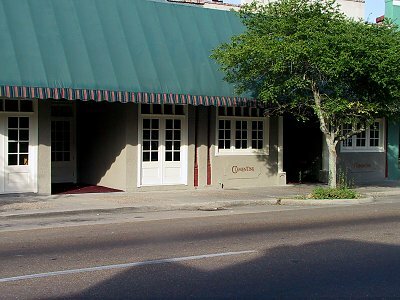 Now a lovely restaurant called Clementine's in honor of Louisiana painter Clementine Hunter, and a success at least partly owing to the owner's respect for the building's history; for decades, this was Provost's, the all-night restaurant bar of a kind every town our size used to have. George Ackal used to wander in from next door for lunch, and it was his preference to have a hamburger made of meat never had been frozen. He acknowledged that this was a privilege and was willing to pay for it; hence, the Provost's menus carried a hand-inked "George Ackal Hamburger" that was a dime more than the standard kind. 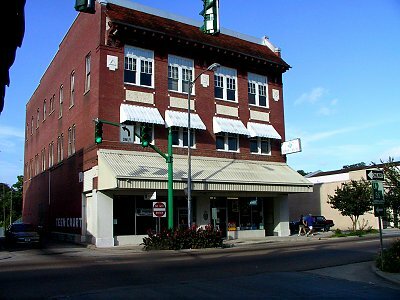 Clementine's today offers a George Ackal hamburger, of the gourmet sort that would have delight the late druggist. 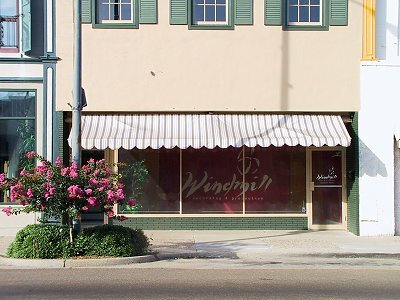 Renovated recently into recording studios. 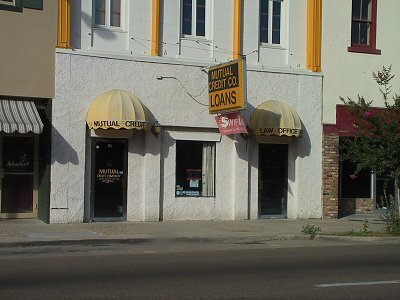 Soon to be renovated into apartments and office space! Rear of building above, as elevation drops toward bayou.